Merry Christmas! 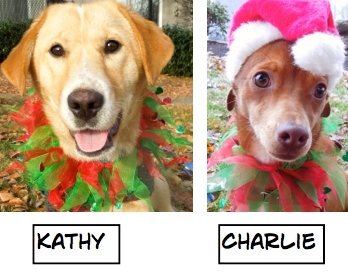 Have you ever wondered what Santa’s elves do after all the presents are made, wrapped, and delivered on Christmas Eve? Well, wonder no more! 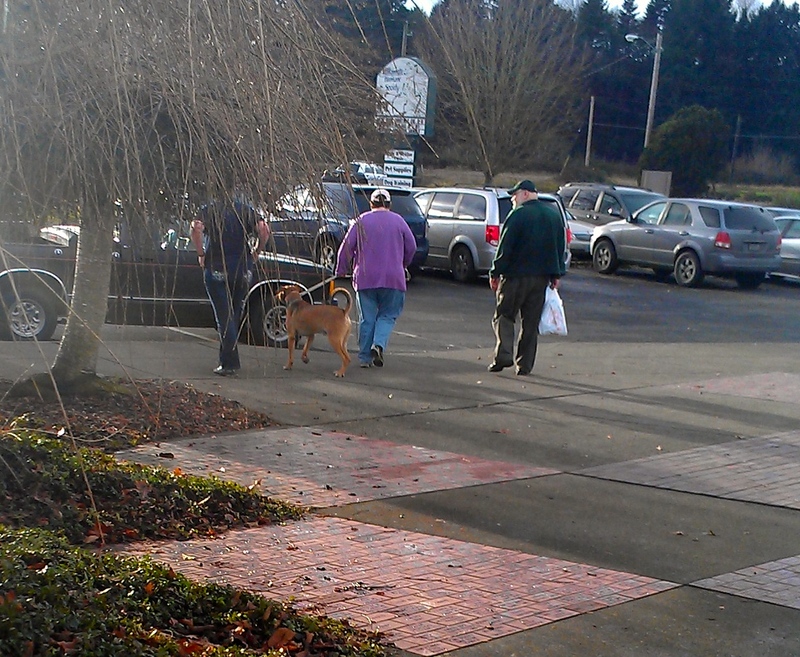 They come to WHS to walk dogs on Christmas morning! 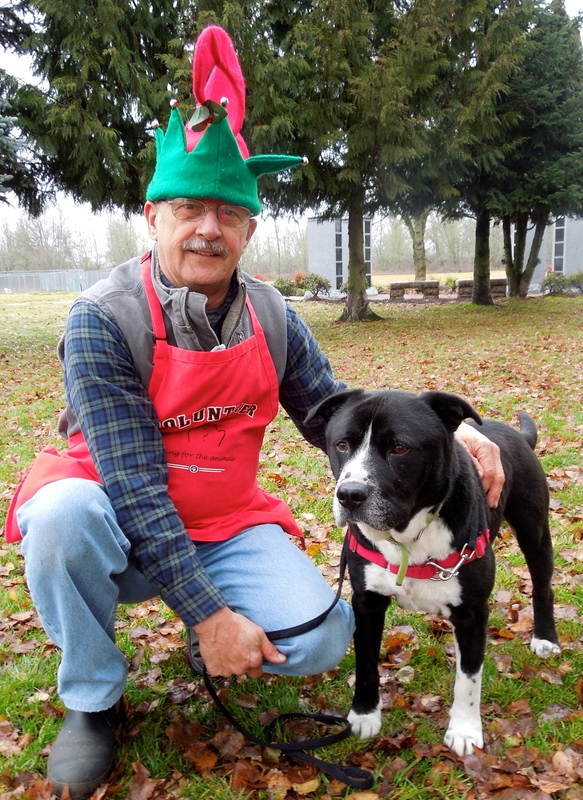 If you were to ask any of them why they wanted to spend part of their Christmas day with shelter dogs, you might get an answer like this, a quote from Louis Sabin. So for a little while this morning, each of our shelter dogs felt they were somebody’s best friend, and each walker felt a dog’s love. And that is reason enough to spend part of Christmas day at the shelter. The first dog I walked was a favorite of mine, Clyde. He was sooo excited to see us this morning! He couldn’t wait to send his greetings. 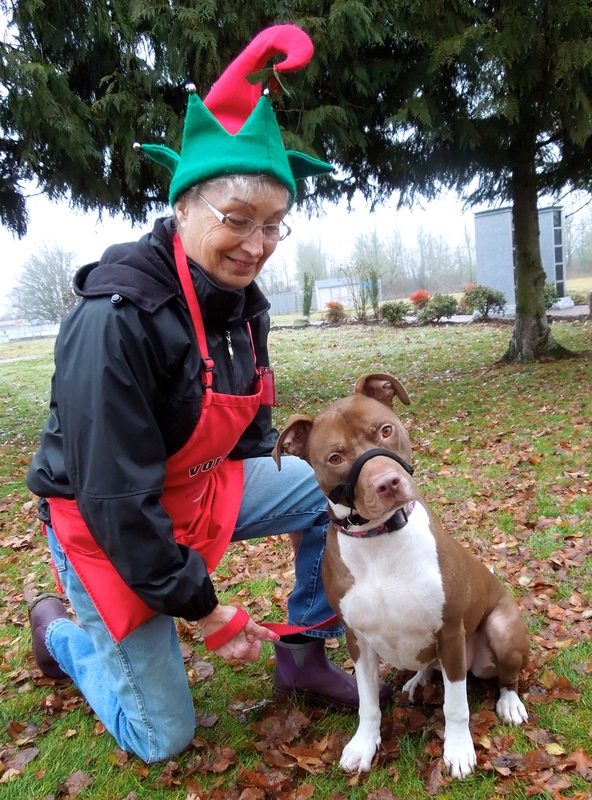 And two elves, Krystal and Maddie, came to take very shy Shirley home for a Christmas day respite! 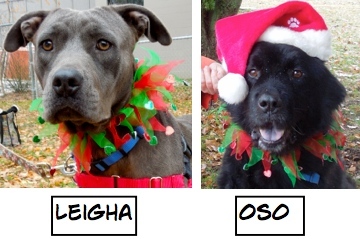 We had so much elf help this morning that ALL of the dogs got to go outside TWO times each! And you know what else? 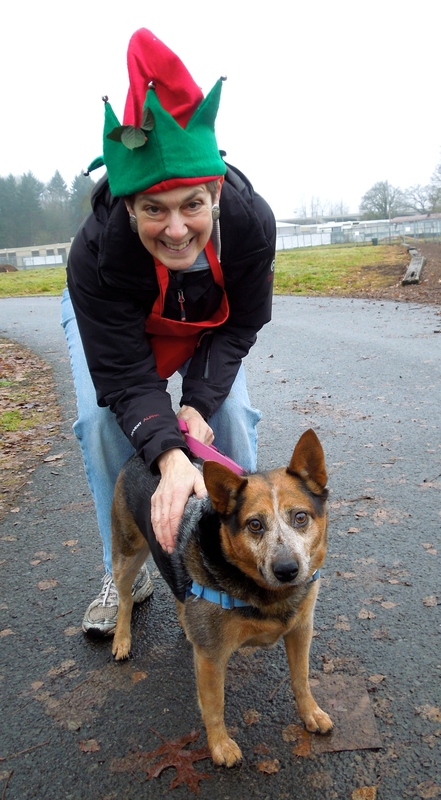 At 4:00, more elves will appear at the shelter to take the dogs out again this Christmas afternoon! 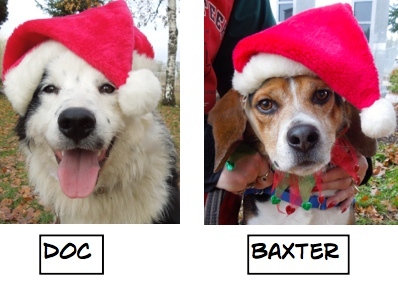 A Christmas Card from some former and some current WHS shelter dogs to YOU! We had some wonderful adoptions during the past week. 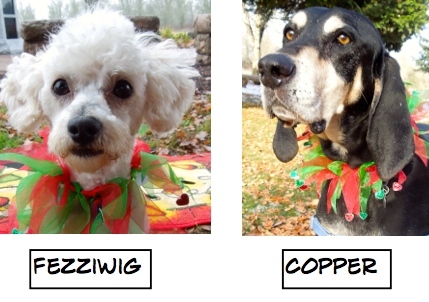 Here are the dogs who woke up this Christmas morning part of a family. 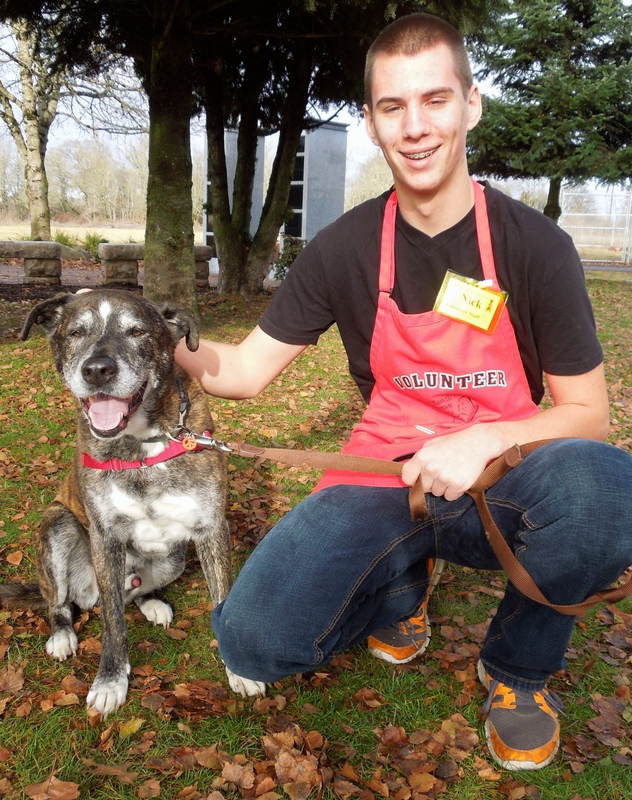 There was one very special adoption on Saturday and fingers are crossed that it will be a great match. 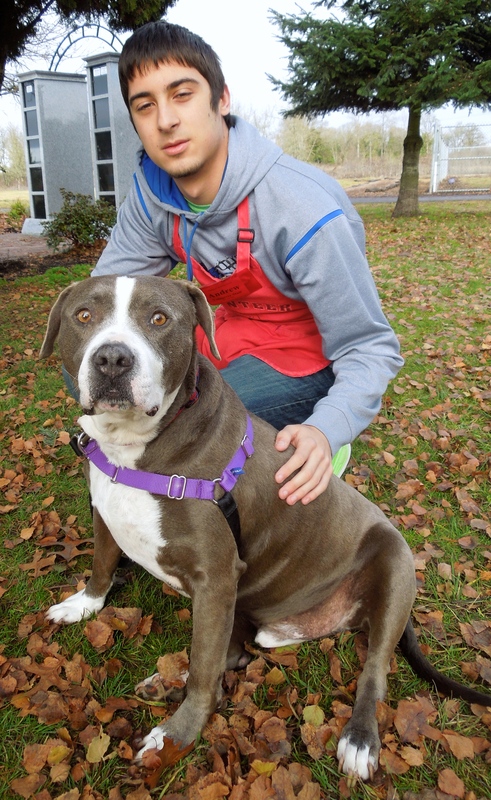 A couple came in looking for a best friend for their six-year-old very active dog named Bear. Ziggy and Bear had a play date and it went great! Ziggy didn’t even try to boss Bear around! 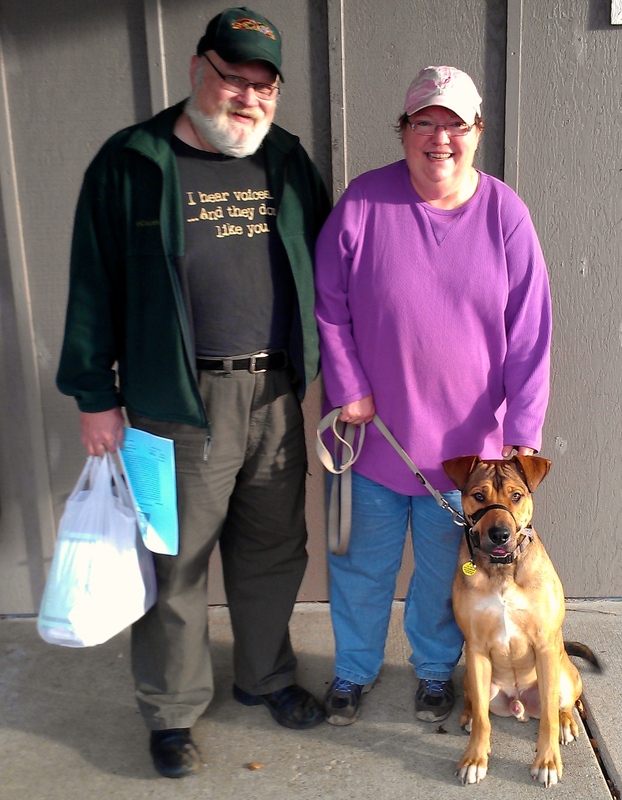 Here is Ziggy finally going to a home of his own! Since my usual picture-taking day fell on Christmas Day this year, here are some stories from my WHS time last Sunday. We just arrived from California! We’re new S.T.A.R.T. dogs! Our shelter director, Jen, recently returned from a wonderful trip to visit the Shelter Transport Animal Rescue Team headquarters where she toured the three main areas where our S.T.A.R.T. dogs come from. 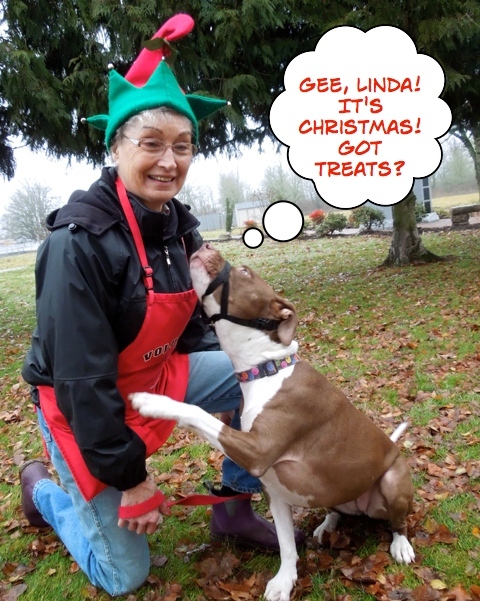 She selected our newest batch of Oregon transplants! Here are two I met on Sunday. I don’t know a lot about them, yet, but they have won my heart! I have a great smile! Looking for my new digs in Oregon! 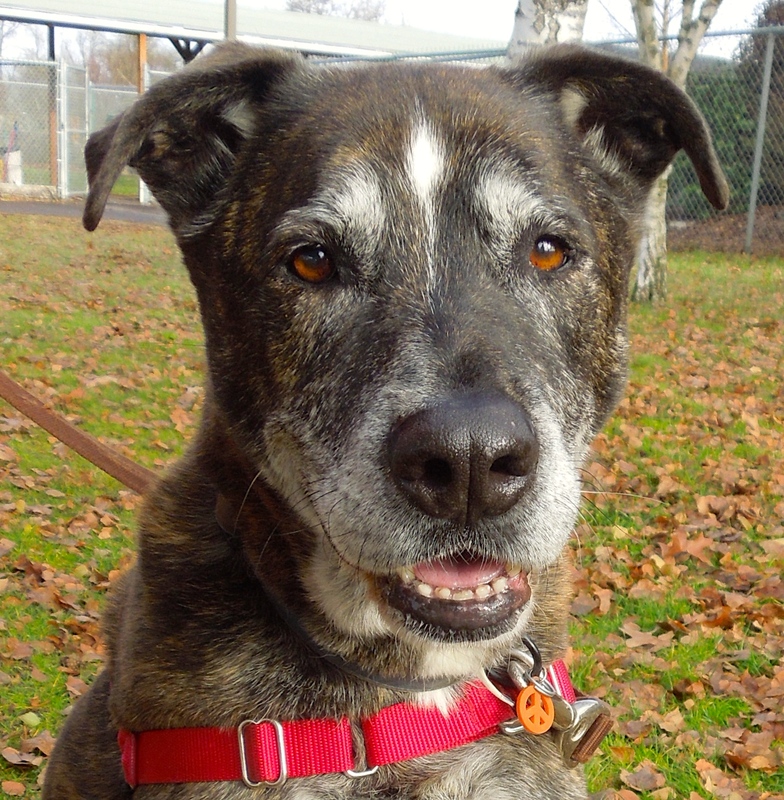 Poncho is a six-year-old Shepherd mix who is such a ham! 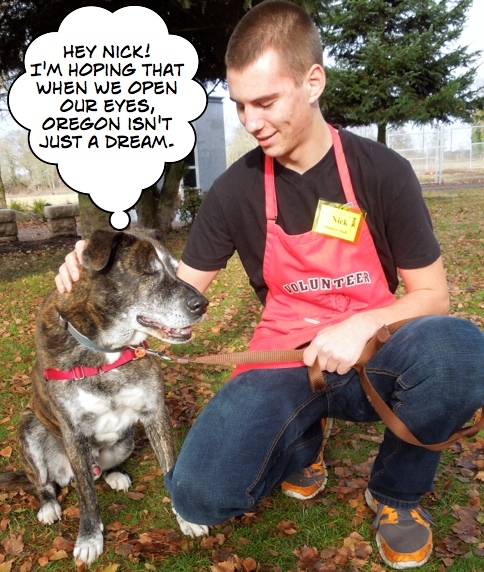 Nick got a big kick out of this happy, easy-going dog. (And is it just me, or do they have matching smiles?) Poncho walks well on leash. He’ll make a great family dog. What?! I’m NOT a lap dog? Meet 81-pound Harley! Every time I took the camera out and asked him to sit, he immediately turned around and sat ON ME! 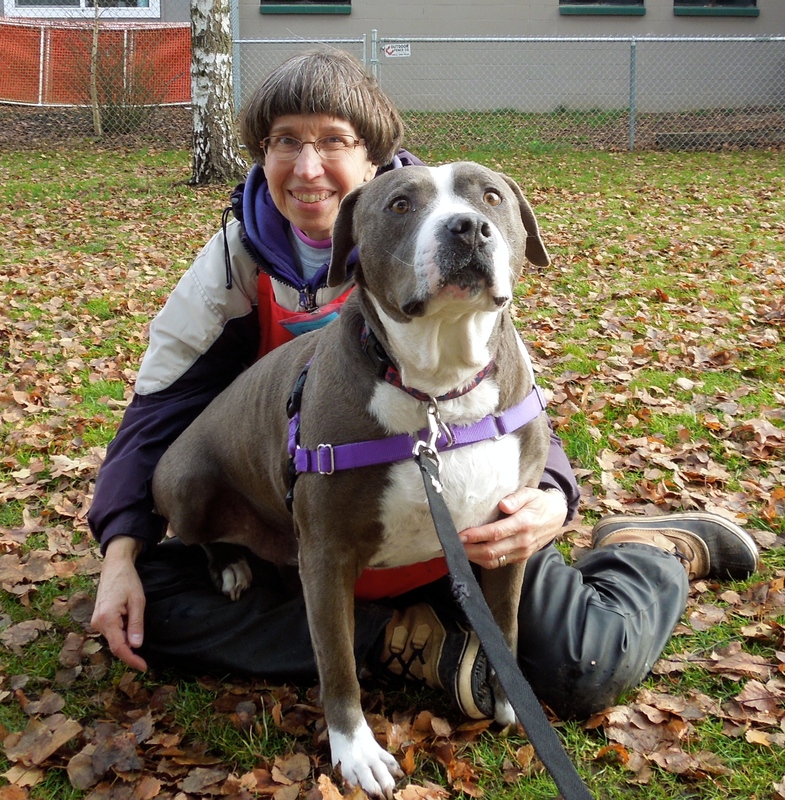 Harley is one big loveable seven-year-old Pit Bull Terrier mix. He’s a very mellow guy and likes everybody. 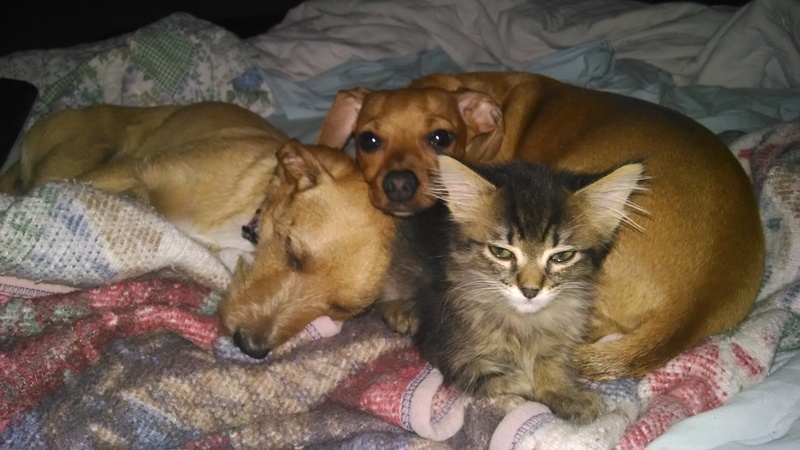 (That is everybody as long as you aren’t a cat. No cats at home, please.) I love his big head! Andrew liked this goofy boy, too! I really thought that Clyde would be found by a new family quickly. He originally was adopted from WHS, but was transferred to us from another shelter a couple of weeks ago. I loved Clyde the first time he was with us, and even more now. 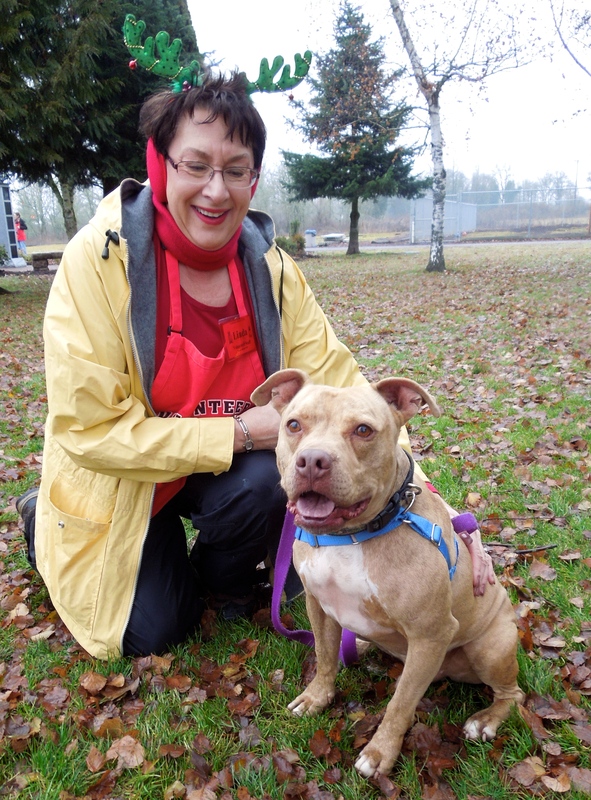 He is a two-year-old Pit Bull Terrier mix. He LOVES to play fetch with a tennis ball and knows some commands. He is a very smart boy! I’m hoping a new family will see what a great dog he is and take him home soon. Here he was on Sunday with Luke and Danielle. A puppy? Are you ready for a puppy? Is there anything cuter than a puppy? I don’t think so! 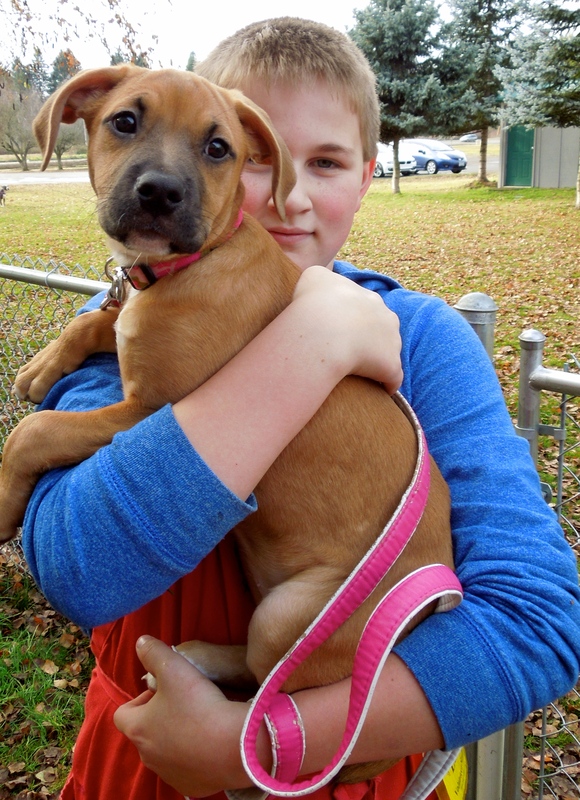 This is Rosie, a three-month-old Pit Bull Terrier mix who has a ton of energy and was such fun to watch dashing around the puppy yard. I asked Luke to hold her so I could snap a picture while she wasn’t moving! 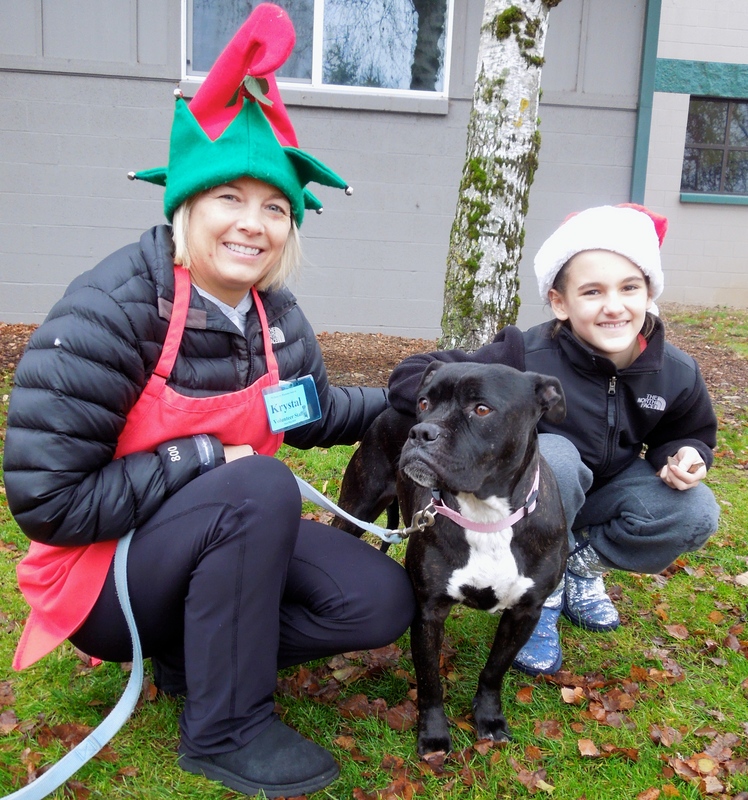 Her adoption package includes the WHS class “Surviving Puppyhood” which will help her new family understand how to help her become a wonderful adult dog. I don’t think Rosie will be at the shelter long! 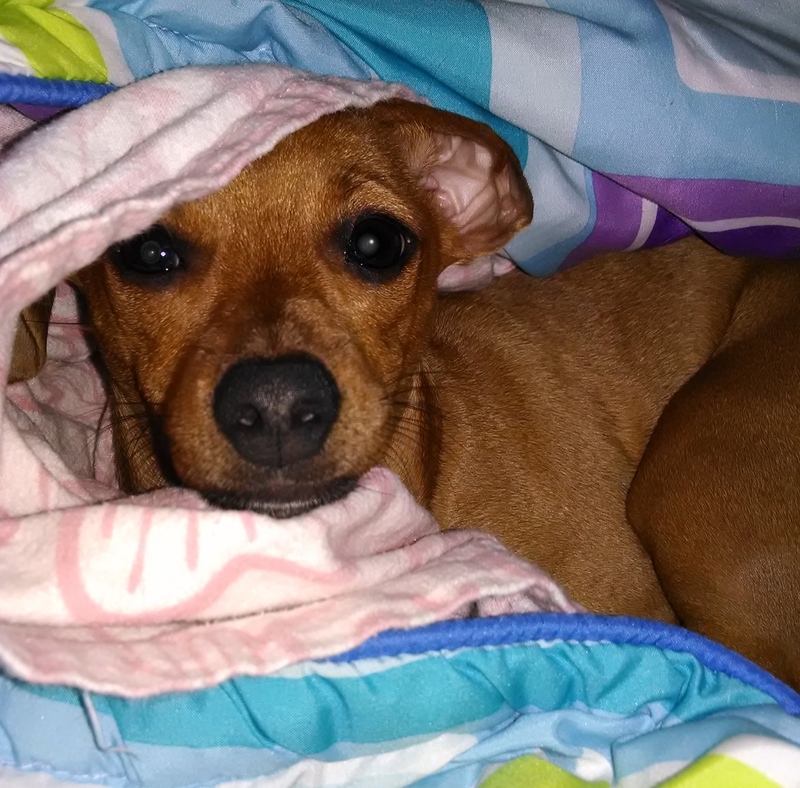 Last August I received an update about little Macy. I was so happy to get a new one this week! 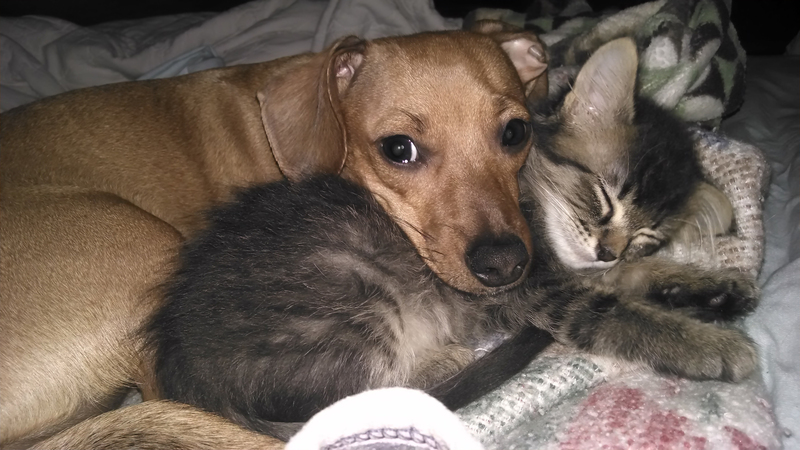 I always love to see dogs and cats hanging out TOGETHER! I was thrilled to see two of our WHS S.T.A.R.T. 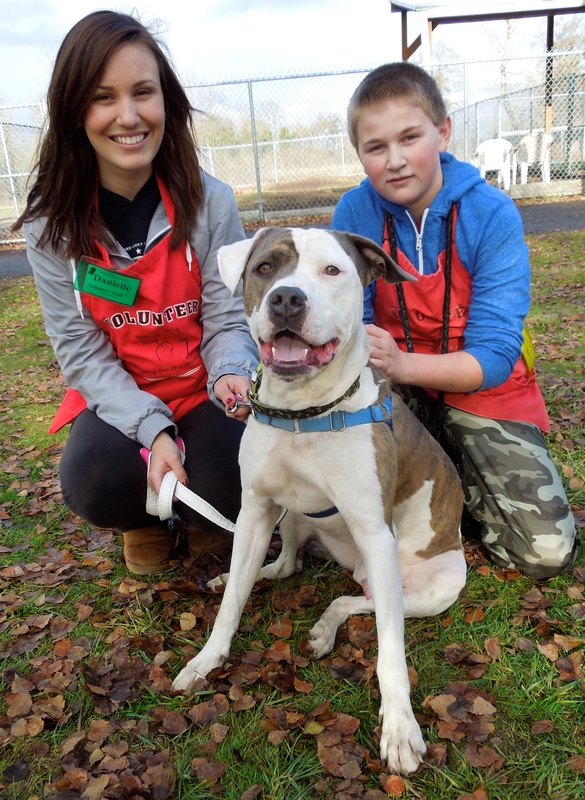 alumni (Rockstar and Oso) featured in a new video by this incredible organization. I asked if I could post it on my blog and was told YES! Here it is. That’s it for this week! 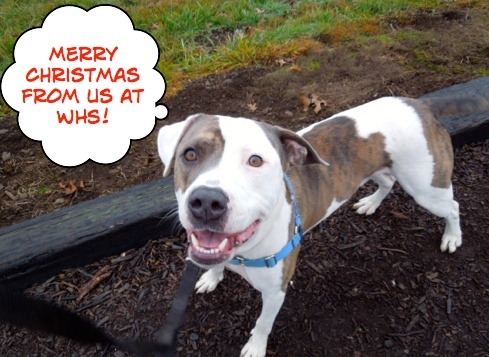 Merry Christmas from all of us at WHS! 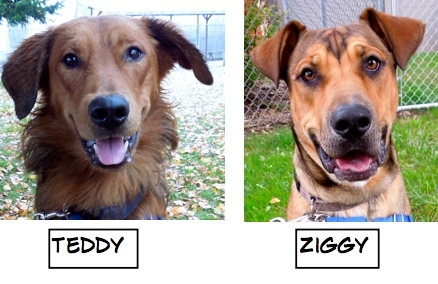 I was hoping you had some info and pictures of Ziggy going to his new home, so was overjoyed to see him in this blog. I became a clicker training advocate after getting some training from Annie on using it with him. 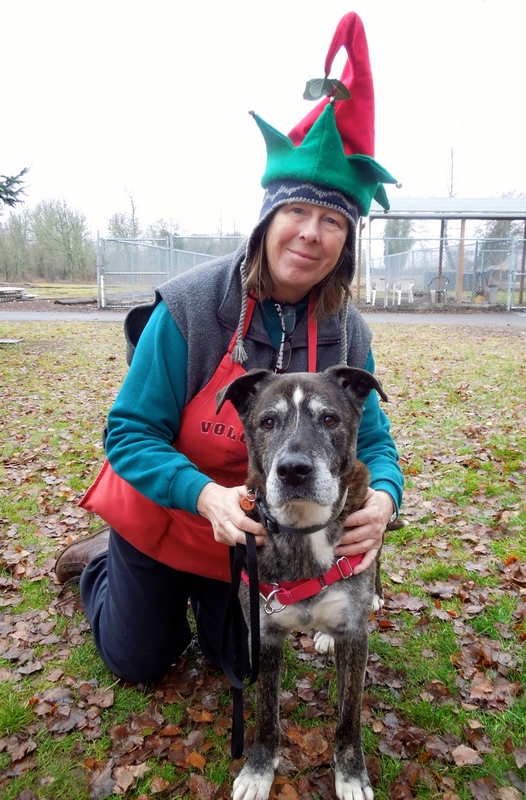 Since I am a shepherd mix lover, I liked working with him, even though he was at first such a challenge, but seeing the change some persistent by us volunteers made, was so great. He does need a lot of activity, and consistent training. Hard not to get attached to the dogs that are here a while, and that we see make such changes. 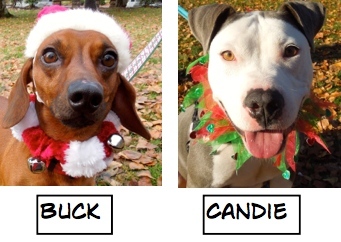 Your holiday props make the dogs look great. The START video was wonderful and very touching. I hadn’t seen the pre-shipment condition of some of them before. It was great seeing so many adoptions, Mart! Also liked the video from S.T.A.R.T. Very touching. Don’t worry about Ziggy. He has already calmed down quite a bit. He just needed to have the security of a home of his own. He is going to be a great companion!